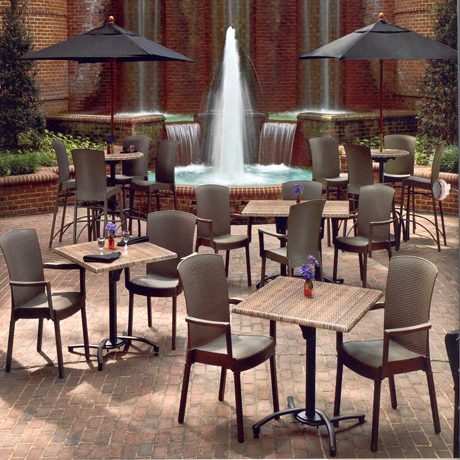 Shorea Teakwood or Recycled Plastic Commercial Patio Seating, or Plastic Resin Deck Furniture will turn your outdoor area into the perfect entertainment center. 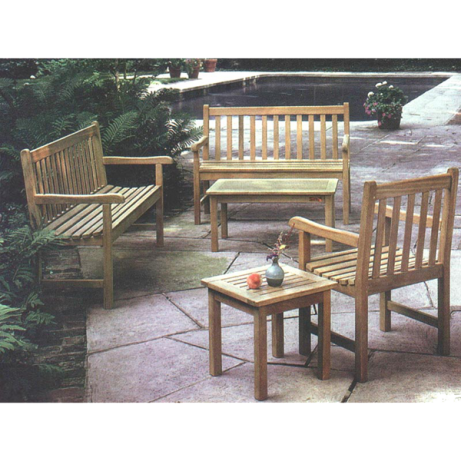 Create a serene environment in your courtyard, patio, garden or park with a wood or recycled plastic Deck Furniture. The classic designs make this patio furniture look as though it has been plucked from the backyard of a country cottage, yet this outdoor furniture has been designed specifically for everyday commercial use. The Plastic Resin Furniture is made in the USA by Grosfillex. It is commercial grade unlike the cheap plastic furniture that you might find at Walmart or Lowes. Wood Outdoor Benches, Tables, and Chairs are available with or without a back and are constructed from Shorea wood, which is a tropical hardwood similar to teak wood. The tight grain of Shorea wood resists splintering, and it is naturally resilient to moisture, guaranteeing a durable, long life. Over time, and with normal wear, the seat will actually wear even smoother. Add a yearly dose of Tung oil to keep the beautiful golden brown coloring vibrant and beautiful for years! 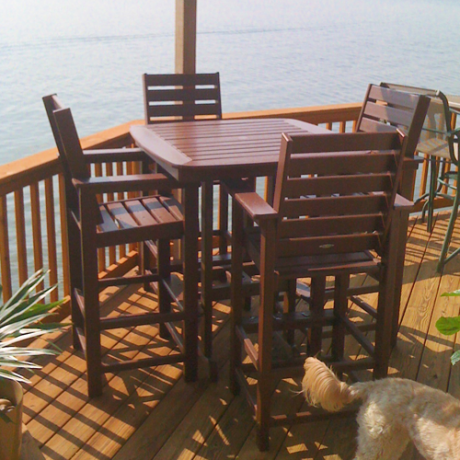 Visit our complete selection of Shorea Deck Furniture. Recycled plastic is becoming more and more popular as people are continually trying to find ways to reduce, reuse and recycle. These recycled plastic adirondack chairs, tables, and benches are made from 100% post consumer plastic (milk jugs, soda bottle, etc.) and will last for years to come! If you decide (many, many, many years down the road) to change the look of your garden or park, these benches can once again be recycled and molded into a new work of art. With classic designs, modern bench gliders and bench swings to choose from, the bench for your garden, patio or court is here! 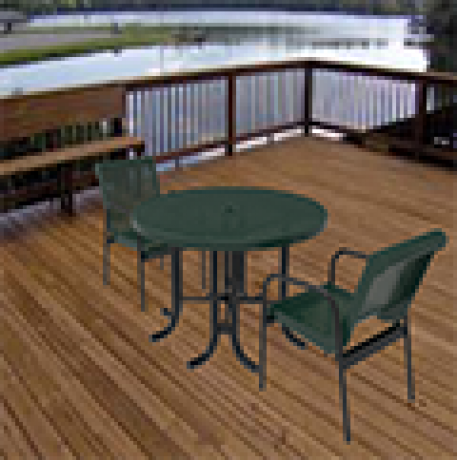 Enjoy shopping our complete selection of Recycled Plastic Deck Furniture. For more information, call us and let our knowledgeable sales staff help you choose the garden bench that is perfect for you!